Today, society puts a lot of value on having more and doing more. Despite having more and doing more, are we more happy, fulfilled and at peace? "What is the Human BEING"? The answer to this question is paramount as it determines how we see ourselves and others, how we think, how we feel, what choices we make, what paths we take, and ultimately the destiny of our life. 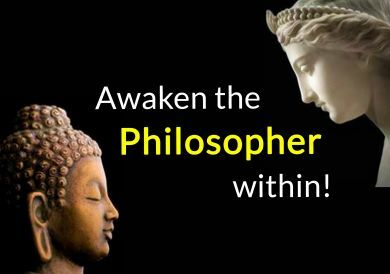 We invite you to join us to pause, discover and reflect on the timeless and universal vision of the Human Being shared by Eastern and Western ancient civilizations and philosophers for thousands of years....A vision that is extremely relevant for us to reconnect with today so that we can find happiness, inner tranquility and meaning in our daily life! - Out of respect for those in attendance, doors will close at 1:00 pm. - The event is being held on the 3rd floor. - The same presentation is also being offered on Monday, February 18 at Oliva (near Yonge and Sheppard). Visit us in your city!